Rick Robinson | Is Bowling Your Career Choice? Rick graduated from Northwestern University in Evanston, Illinois in 1989 with a B.S. in Industrial Engineering. Rick is an IT consulting professional with 28 years of experience in financial services, telecommunications, and retail industries. Rick is currently the owner and principal consultant with Oyarsa Technology Consulting, Inc. and partners with Baax, LLC on many engagements. Rick is a USBC Silver Certified coach and Registered Volunteer. Rick was the assistant coach for the Ohio State University Bowling Club for four seasons. 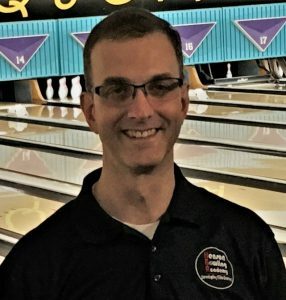 Rick has been a member of the Youth Bowling coaching staff at Sequoia Pro Bowl for the past ten years and was the Central Ohio Youth Bowling Coach of the Year in 2010-2011 and 2016-2017.